We love presenting incredible reproductions of historical weapons! 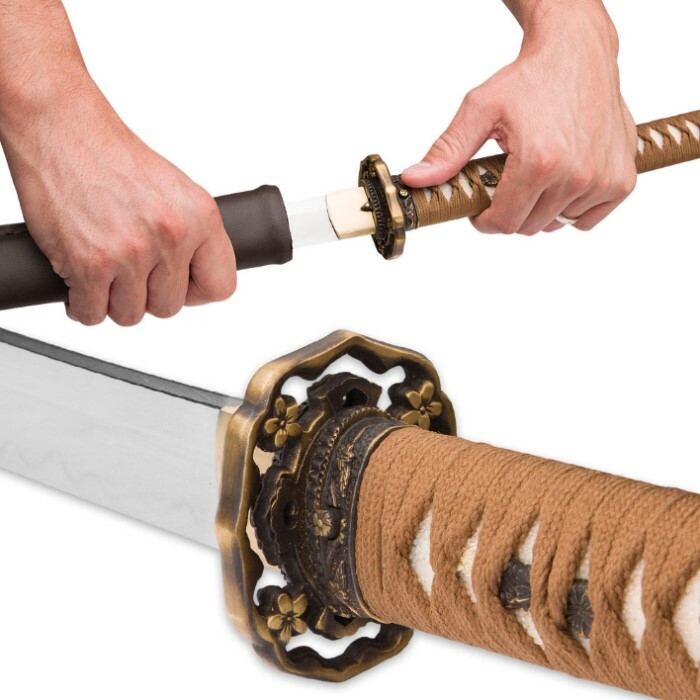 The Japanese Officer Katana was one of the only swords used in combat during World War II. It is almost an exact replica of the Type 98 Katana carried by the Imperial Japanese Army. The historical reproduction has a 28 3/4” T10 carbon steel blade that was handcrafted to perfection. The handle is ray skin and cord-wrapped in brown, which is also used at the top of the decorative pommel in the form of streamers. The metal alloy, brass-toned tsuba has a cherry blossom motif and that is carried through to the brass-toned menuki. 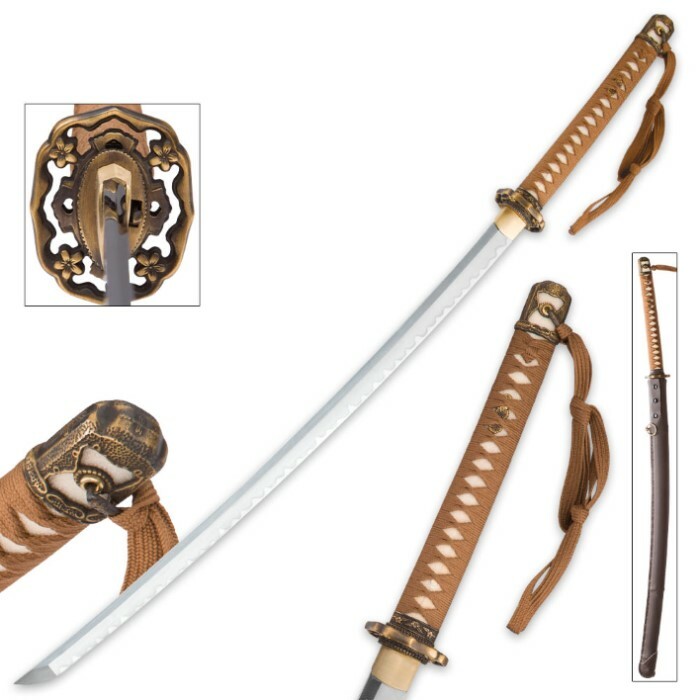 The katana is housed in a matte brown scabbard with brass-toned decorative accents to compliment the tsuba. A faux-leather cover is also included to house both sword and scabbard.